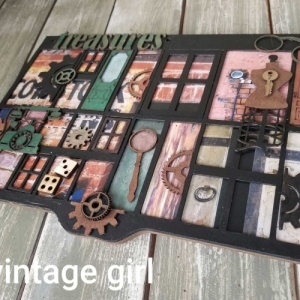 A Vintage Girl Chipboard Printers Tray Trinket Set. 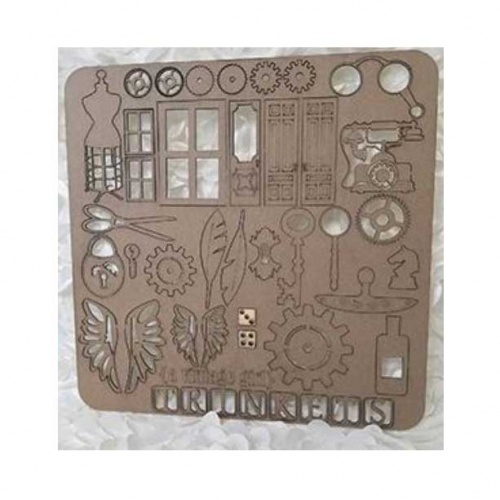 The trinket set contains 43 total pieces from gears, to windows and doors to feathers and keys. 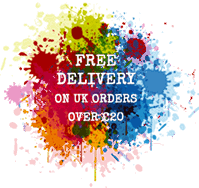 It was created to work either stand alone on any project or for use with the Printers Tray Album. Windows, doors and other elements are sized to fit in the tray cover of the album. The dice in this set are made from wood.